Max Life Insurance CMO and Head of IT share their views on social media, customer centricity and online reputation in life insurance. Anisha Motwani, CMO says that technology plays a part in facilitating end-to-end solution in life insurance by smoothing the process flows of claims, payments, and approvals. She believes that technology is the key to providing a competitive edge in customer service and engagement. Information technology has significantly contributed in making a customer-eccentric environment and reducing time on customer service. 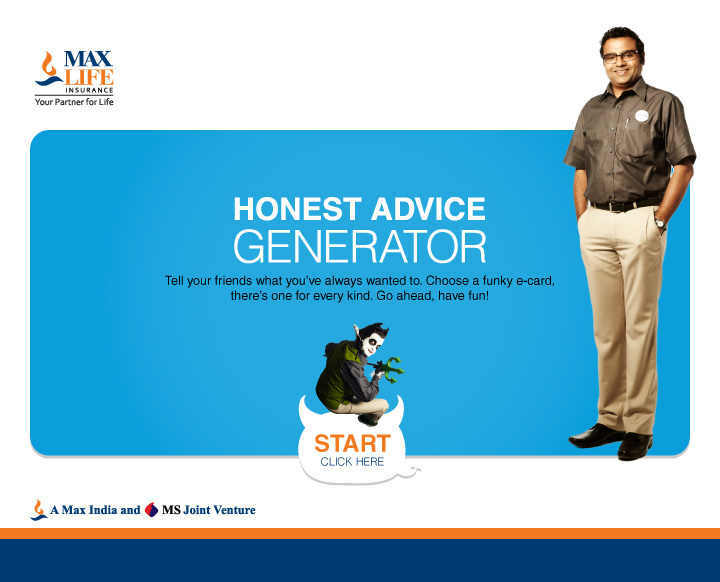 Max Life Insurance (@MaxLifeIns) provides online information useful to customers. They also built a Single View which enables better-quality customer service through online policy renewals and payments. Max Life Insurance has been an early adopter of social media since 2010, using Twitter, LinkedIn, YouTube, and Facebook. Twitter is used as a listening post that addresses customer complaints and queries. LinkedIn is used for job postings, product showcase, and as a channel for brand presence. YouTube is used for making customer awareness and brand building. Facebook is used to display content about life insurance advice. ORM is used as a listening post to measure sentiments and discussions of customers online, and to respond and resolve their concerns and queries on Max Life Insurance. Max Life Insurance aims to be the Most Admired Company and plans to achieve it through advice-based sales, strong brand awareness, customer satisfaction focus, and ongoing customer engagement. How important a role does social media play for insurance companies like Max Life Insurance? Will it help them in aspects like customer centricity and online reputation? We invite you to share your thoughts about insurance companies using social media, via twitter or on our Facebook page.